Are you tired of finding a way to get rid of the Blogger navigation bar? If you are using the default templates then, you would probably notice a dark bluish horizontal bar appearing just at the top of your site. To be honest, this tiny little bar is quite helpful as it allows you to sign in into your Blogger account, you can publish your posts, customize your site. Now you might be thinking if this bar is so supportive then, why should we remove it? The bar is not visually appealing it has ancient 19th century look which totally ruins your sites outlook. 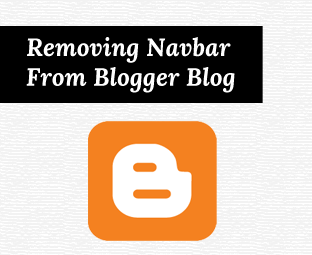 In this article, we will show you How to Remove the Blogger Navbar From your Blog? First go to Blogger.com >> your site >> Template >> Edit HTML >> Proceed. Now within the coding of your template search for the ]]></b:skin> tag and just above it paste the following CSS coding. Now press “Save Template” button and the navigation bar would be removed from your site. However, in the future if you wish to restore the Navbar again then you can just remove the above CSS coding from your Template, and it would be back to normal. 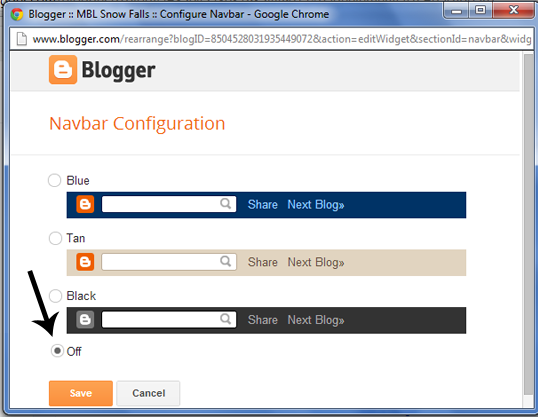 You can remove the navigation bar without any hassle or worry because Blogger team will not mind that. In fact, through the new interface you can simply turn of the navbar. Go to Layout >> Navbar> Edit >> from the list of options select off and press “Save” to complete the process. We hope this article would help you in quickly removing the Blogger navigation bar from your site. What are your thoughts? Does it is worthy to remove the navigation bar? Feel free to leave your suggestions and opinions using the below comments form. wao thats really very basic tip for newbies, doing good work for new ones. We would not prefer you to use it. We also tried Position:Fixed Script with Adsense, The same which we are using with the subscriber box. We have seen many big sites which are using Floating ads but Google always stops you to do such things which intimate your users to click on your ads. You can ask on Google Adsense help forum, they would never recommend you to do that. Its might be because you are using our Social BOX. When you hide it using Display:none; it redirects to our website. Since, your 404 page you have done that, the reason its taking you to our site. We're fixing this issue thanks for letting us know. Thanks alot it really helped me. Thank you brother. Thanks alot. Your trick worked. Thanks Syed. A great post indeed, especially for newbies. Keep sharing. Can't figure out why my blog was removed. I finished the setup and was ready for content when I became seriously ill. Went back to Blogger and my site simply said I was no longer there. Can I get help? Is there any way to contact them? Can you provide me the link of your blog?